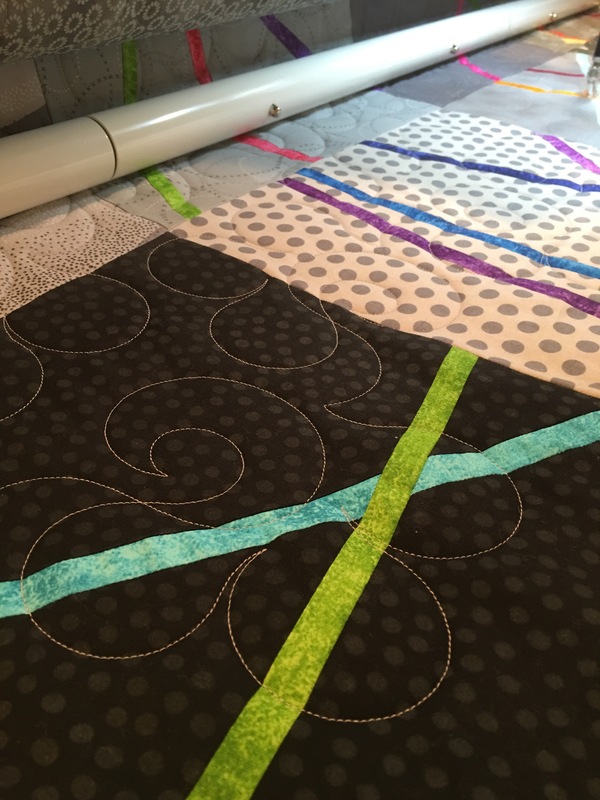 Sending your quilt out for longarm quilting is a great way to get the clean and elevated finish that will make your quilt look the best it can. You put so much work into your top – I will put just as much into your quilting. I offer both edge to edge and custom designs. And if you are in or near Bergen County, NJ, please contact me to rent time in my home studio to finish your quilt yourself! Call me today at 917 907 2406 to get started. Custom work is quoted depending on the complexity of your project. I will have you send me a picture of your top to erinholmqvist at gmail dot com. I will get in touch and we can discuss your ideas and the cost. Longarm services are a flat rate of .025 per square inch. To get the estimated cost for your project, multiply the height by the width and then multiply the total by .025. I have hundreds of designs and have shown some of my favorites below. If you don’t see what you are looking for please let me know. I offer a wide variety of threads in every color under the rainbow. I install a new needle for every quilt to ensure a crisp stitch out. I offer many batting types depending on how you plan to use your quilt. Alternately you can send me your batting to save money. After we agree on the design and thread color I will send you an estimate. You can pay by check or credit card. I require a 50% deposit upon receipt of your quilt. 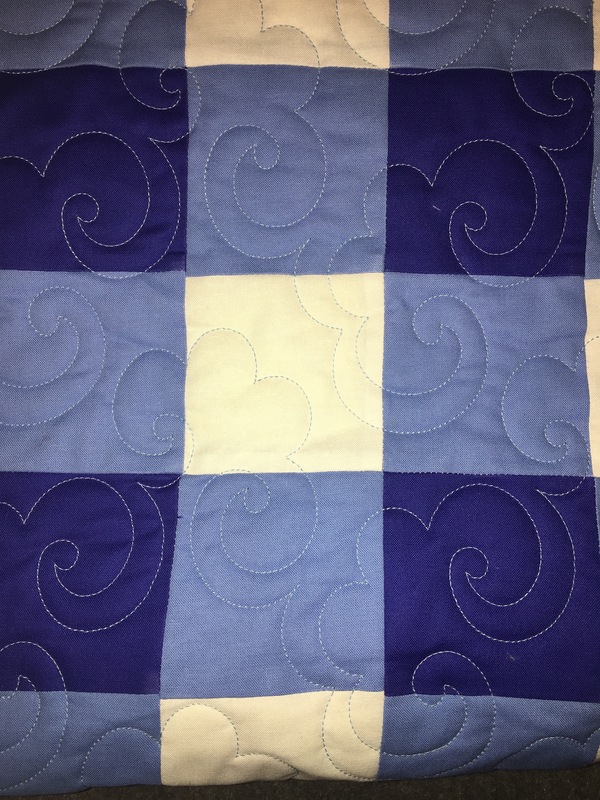 When I am finished I will send you a photo of your quilt with the balance due. Once you remit final payment I will immediately ship your quilt back. Following are some of my favorite pantographs and how I like to use them. 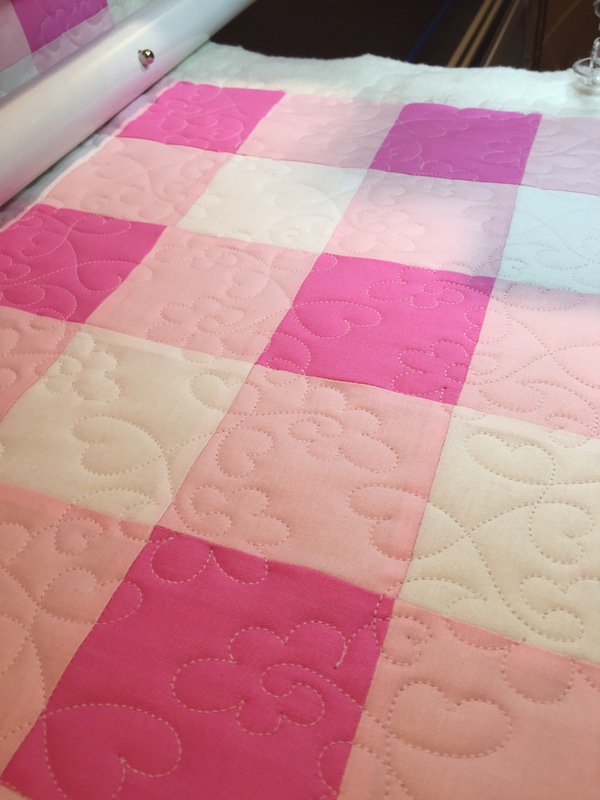 Popcorn – I love this pantograph for baby quilts and lap quilts. I use it for boys and girls and it always looks great without detracting from the design. 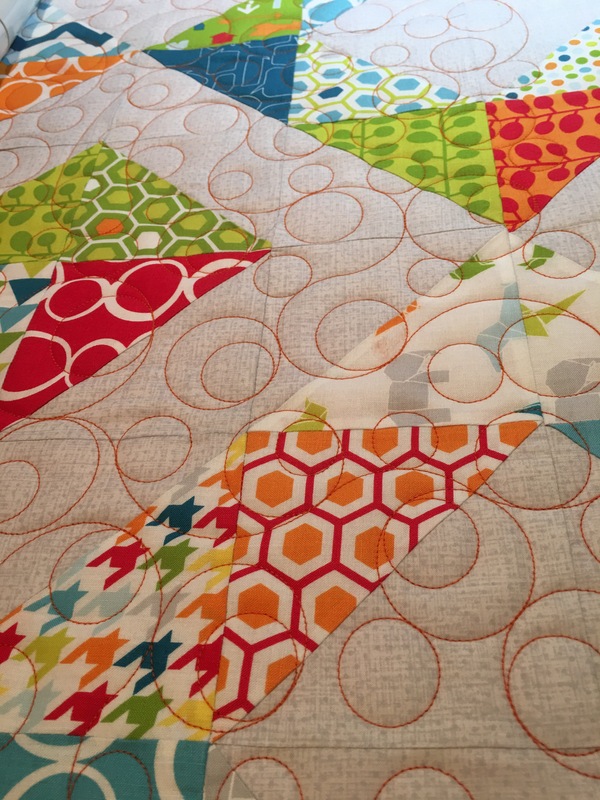 Circles – this fun design is great for a quilt with a lot of angles. It is also a nice option for baby boys as it is gender neutral and fun. Sweet Hearts – this feminine design features flowers and hearts and looks great on baby girl quilts and lap quilts. I find it a little small for bed quilts. Check back frequently as I will add new design options on an ongoing basis. Whimsy – this pretty loopy design looks great large or small on bed quilts, throw quilts or on complicated baby quilts. I can size the design accordingly.